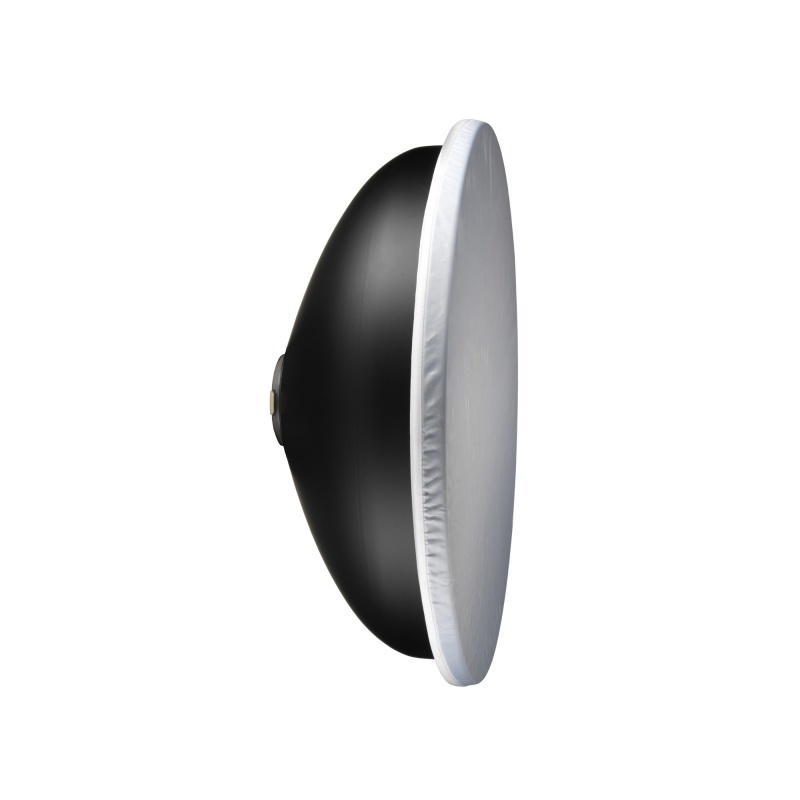 The broncolor Beauty Dish reflector is white coated and has a counter reflector inside. It is an ideal reflector for portrait and beauty photography, it is an interesting alternative to softboxes, being more directional but still soft. Included with a diffuser for softer shadows.